"Dr. Griggs is an excellent orthodontist and his staff is great as well." "I highly recommend Dr. Griggs for orthodontic needs." "Dr. Griggs is the best! I highly recommend his services!" "I love this office! Dr. Griggs is an excellent orthodontist!" "Dr. Griggs and his staff are amazing! Our daughter's teeth look fantastic." "Best experience at a dentist or orthodontist ever!" "They really make each visit personal! I highly recommend them." "Dr. Griggs and staff are wonderful, my daughter's teeth look beautiful now!" 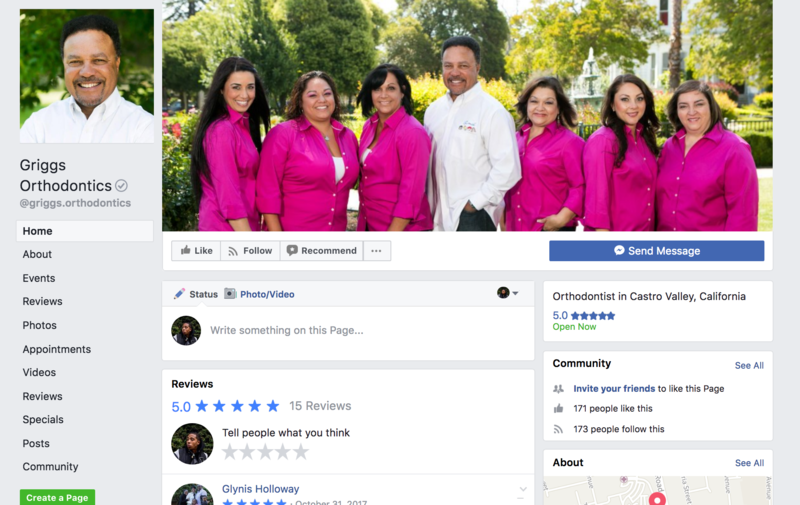 Dr. Reginald Griggs and the team at Griggs Orthodontics have been helping men, women, and children in Castro Valley, California, feel confident in their smiles for over 30 years. Cultivating a family-like atmosphere and approach to treatment, Dr. Griggs and the team truly care about their patients and strive to make sure each individual they see feel like they’re part of the family. A graduate of UCLA and member of national dental honor society Omicron Kappa Upsilon, Dr. Griggs received additional training in orthodontics and Dentofacial Orthodontics at UCSF before graduating in 1985. He then went on to work in his own practice, while simultaneously serving on the faculty at UCSF from 1986-2003. Dr. Griggs offers years of experience when it comes to treating your orthodontic needs. Using the latest treatments and technologies to give you permanent solutions to your teeth and jaw problems, he takes great pride in providing you a smile you love. If you’re ready to start your journey to a brighter smile you can’t wait to show off, contact the office today. "Dr. Griggs and his staff are very professional and pleasant. They go above and beyond to provide great service." "Dr. Griggs and his staff are the most amazing group! They have amazing customer service, they are patient and kind. I would recommend Dr. Griggs to everyone." "Not only is he a great orthodontist but his staff is amazing and so friendly. Great appointment times and you're in and out quickly. The results are wonderful." "If you're considering getting braces, Dr. Griggs and his team of professionals are ready to take care of you. I am more than satisfied with the results." "I would recommend him and his entire office staff to anyone. They are professional and kind to their patients." "Couldn't be happier with the process of my daughter's braces. The staff is so friendly and explain everything to you so there are no surprises." "I'm a satisfied customer. Now I have a confident smile. Staff is very sweet as well. It was a great experience." "Dr. Griggs and his staff are exceptional. Both my kids have seen Dr. Griggs for their orthodontics. He gave both kids beautiful smiles and straight teeth." "My daughter just had her braces removed today and her teeth look fantastic and perfectly aligned. We're both very pleased with both the results and the service." "Dr. Griggs put my braces on when my teeth were far from perfect. I got them off yesterday and I'm thrilled with the results."